Meet our radio hosts and staff. My radio career in radio started after two years of having a great time and really loving NSC now NSU. My Mom told me its time to move out of the “dorm life”, and find a career path. I mentioned radio one time and she enrolled me into broadcast school in Thief River Falls Minnesota. After a couple of years the radio stations had ownership changes. These changes brought together KGIM-AM, , Z-97.7 and Pheasant Country 103.7, and KQKD-AM Redfield. A couple years later another ownership change! In the fall of 98 I became the General Manager of these stations, and started operating KSDN-AM 930 , 94.1 The Rock, KGIM-1420, Pheasant Country 103.7, Point-FM 106.7, and Sunny 97.7. Between 98 and 2014 we had two more ownership changes!! In February 2014 I was lucky enough to purchase these stations with some local investors! Thus another ownership change! I can honestly say the changes in ownership over the years have created great friendships to this day. I would not be able to have these radio stations without their knowledge and support over the years. More than being labeled past owners they are great friends! What I have learned from them is its not the signals, the buildings, the technology. It’s the people that are running the technology and the people behind the mics. We can all talk about being local but the reality is the product that you produce is local. We have been listening to the area and we produce local talent, local programs and local people. From NSU, Aberdeen Central, Aberdeen Roncalli, Wings hockey, and area games of the week! (16 area towns!) Local news, weather and community events. Our main focus every day is local appeal. I have been part of Aberdeen since 1985 and look forward to serving the area with radio, internet, text, Facebook, Twitter and whatever the latest technology digital era age takes us for many years to come. I have been truly privileged to be I this business all my life and able to share many opportunities with my friends and radio family. I am also blessed to have a great wife Melanie and two wonderful kids, Alli and Zach. I was born: In a crossfire hurricane. 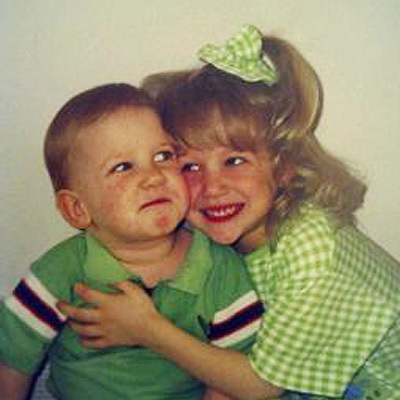 I was raised: By a toothless, bearded hag. Wait, that’s Jumpin’ Jack Flash! Actually I was born June 18t, 1960 at Ft. Benning, Georgia. I graduated dead last in my class from Aberdeen Central in 1978 (I think they gave me a diploma so they wouldn’t have to deal with me for another two or three years). Favorite Bands: Steely Dan, Little Feat, Stevie Ray Vaughan, Zep, Clapton, Dave Matthews, Blues Traveler, U2, and Police. Favorite Foods: Anything Italian, burgers and beer! Favorite TV Shows: Golf and baseball. Favorite Teams: Broncos and Twins. Movies I could watch over and over again: Young Frankenstein, Godfather Series, Papillon, Silence of the Lambs, Shawshank Redemption, Spinal Tap, Anything Monty Python, (almost) anything Bill Murray is in! Buzzkills: Wars, Democrats and Republicans, Carrot Top! Dinner for Four: Me, Jimmy Buffett, Bull Murray and the Late Great Harry Caray. Dirty Little Secret: I’m really a lesbian trapped in a man’s body (or) I once spent my own paper route money on a Barry Manilow album. Lifelong Goals: To break 100 on the golf course and the bowling alley in the same day!!! Catch the Doc of Rock mornings 6 am – Noon on 94.1 The Rock and on Sunny 97.7 from 9 am – 2 pm. You can reach me at (605) 229-3632 or doc@hubcityradio.com. Mr. Root was born and raised in soCal, moving from the Inland Empire to the incomparable Orange County in his single-digit years. After obtaining an engineering degree, he learned that the big money was in radio… or not. Ben earned a broadcasting degree with a sports emphasis and took his first full-time on-air gig as a DJ in Washington in 2006. After positions as a News Director calling high school sports in Wyoming, a Sports Director with a morning show in Nebraska, and another stint as a DJ in Washington, Ben found his way to Milbank, South Dakota, in 2010. He slid over to Aberdeen in 2011 and is now the Sports Director and the Voice of the NSU Wolves. You might see Ben playing volleyball in a local league at Wylie or the Y, catch him playing disc golf, or see him walking the dog around town. He lives in Aberdeen with his wife Jennifer and their Beagle mix, Bridget Bones. Ben cheers for Orange County teams, and since his dad is a Michigan native, he roots for them as well. Catch Ben from 6 – 10 am on Pheasant Country 103, 10 am – 2 pm on 106.7 Point FM, and in the Sports Hub on 930AM-KSDN-102.1FM weekdays from 10 – 11 am. You can reach him at (605) 229-3632 or by email at ben@hubcityradio.com. Catch Rusty Rokit 6 am – Noon on 106.7 Point FM and Noon – 7 pm on 94.1 The Rock. Plus, Rusty’s got the new rock Saturday nights from 8 pm – Midnight during Rev It Up & Rock on 94.1 The Rock. David Tukesbrey was raised in Libertyville, Illinois and went to college at Marquette University in Milwaukee, Wisconsin. He graduated in four years with his broadcasting and electronic communication degree from the William and Mary Diederich College of Communication. He was the Sports Director at Marquette Student Radio and broadcast basketball for the men’s and women’s basketball teams. He also traveled around the country with the women’s soccer team as the voice of the women’s soccer team. After college, he worked at 620 WTMJ in Milwaukee, WI as a producer. He was one of the first broadcasters on WISports.com calling play-by-play for local high school athletics on a brand new platform on the Packers, Brewers and Bucks flagship station. From Milwaukee, he moved to Sisseton, South Dakota and was the sports and program director for KBWS. 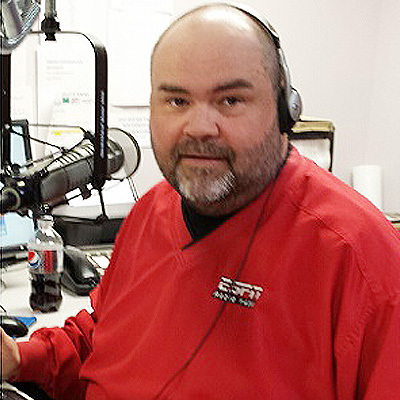 After nearly a year in Roberts County, he was hired on to be a part of Hub City Radio in Aberdeen, SD. He has been calling play-by-play since 2005; he has broadcast football, basketball, baseball, soccer, volleyball and hockey. Catch David weekdays on the Hot Mess Express with Tukes 6 – 10 am on 106.7 Point FM, 10 – 11 am during The Sports Hub on 930AM-KSDN-102.1FM, 3 – 9 pm on Pheasant Country 103.7 and calling Presentation College Athletics on 930-KSDN-102.1. You can reach him at (605) 229-3632 or by email david@hubcityradio.com.